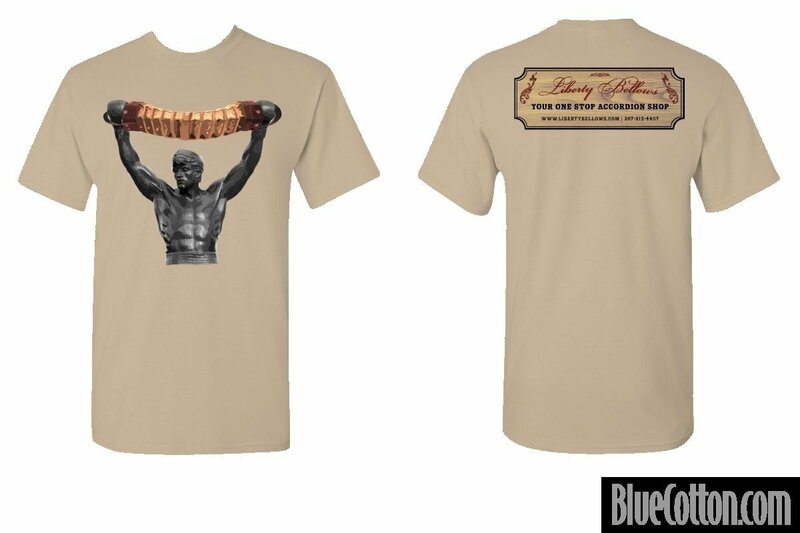 Show your friends your love of all things accordion and all things Philadelphia with a Liberty Bellows t-shirt. The front features a picture of Rocky Balboa in his iconic pose at the top of the Philadelphia Art Museum steps, holding a concertina between his boxing gloves. The back has a plackard of Liberty Bellows, your one stop accordion shop and a Philadelphia institution. They are professionally screen printed on 100% heavy cotton Gildan t-shirts.